” Democratic National Convention, Day 3 – “Unity” Theme Score 85/15 ” – July 27, 2016. 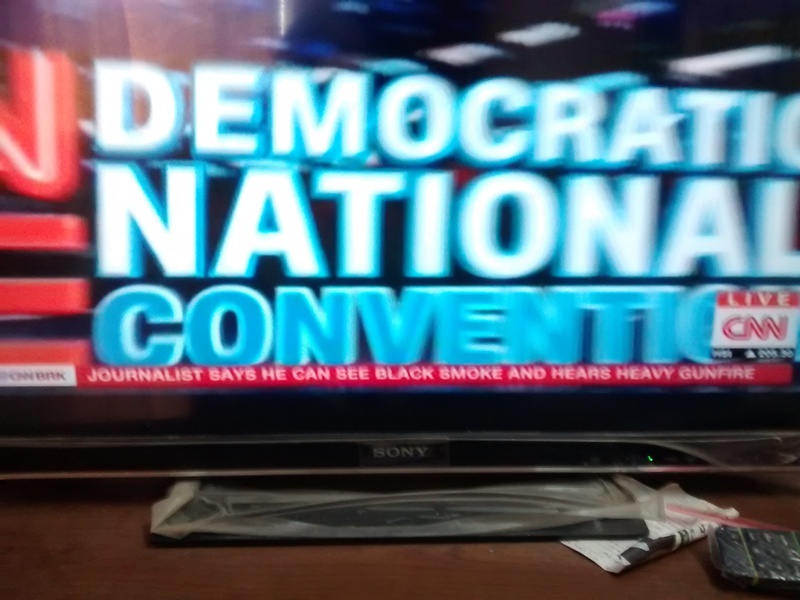 Day 3 of Democratic National Convention is marked by the twin agenda of ‘forging unity within the party’ and ‘establishing the superiority of the Democratic Party specially on the national security front’countering the repeated utterances of the U.S. military being a “disaster” by Donald Trump. With an impressive display of video, the speakers were introduced to the audience. All the speakers this night stuck to the agenda in words and spirit organizing and delivering the expected with the audience in ecstasy throughout. 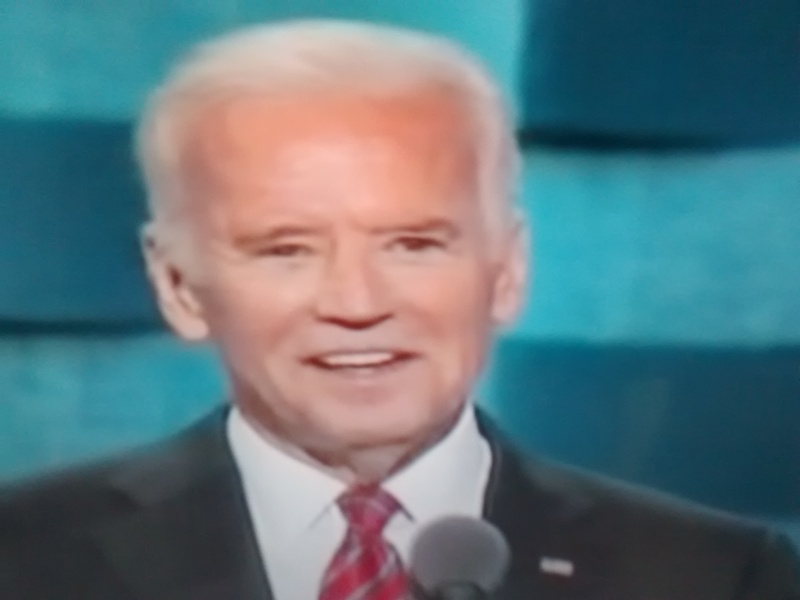 In what may perhaps be his final appearance in a convention, Vice President Joe Biden, in a vigorous speech tinged with intense criticism of Donald Trump and pronounced with a rapid expression of loudness, delved on the middle-class and national security. His argument that when the middle-class does well, rich will also do well and the poor will get their hopes filled to make the 21st Century, the American Century must have resonated well among the audience. On national security he firmly alluded to Hillary Clinton as most capable as the ‘saviour’ in making our streets safe, homes safe, and lives safe. Donald Trump does not have a clue about the middle-class – he added. In a personal reference, he remembered the close association with Hillary Clinton for 30 years recalling with pleasure the breakfast he used to have with her every week in the Vice President’s home. He also described President Obama as the embodiment of honor, resolve, and character accending the unbreakable spirit of the people of America. Vice Presidential nominee, Tim Kaine, touched upon his humble beginnings, his progress in politics rising from one position to the other as a person would climb the steps of a ladder, while emphasizing ‘faith, family, and work’in his speech. Describing the Republican Party of Trump as having moved far away from Abraham Lincoln, he countered the offensive, unseemly, and grievous nature of Donald Trump’s utterances perfectly imitating his voice and facial expressions with a series of ” Believe me” statements covering Tax returns; Muslim ban; building a wall; insulting the disabled … … He also distinguished between Hillary Clinton and Donald Trump observing that Hillary’s passion is for ‘people’ welfare while that of Donald Trump’s is for ‘himself’ It appeared that he excelled in attacking Donald Trump than any other upto this point in the convention. He also urged the voters to look for a person displaying passion long before that person holds any official position and consistently displayed it in life ever. 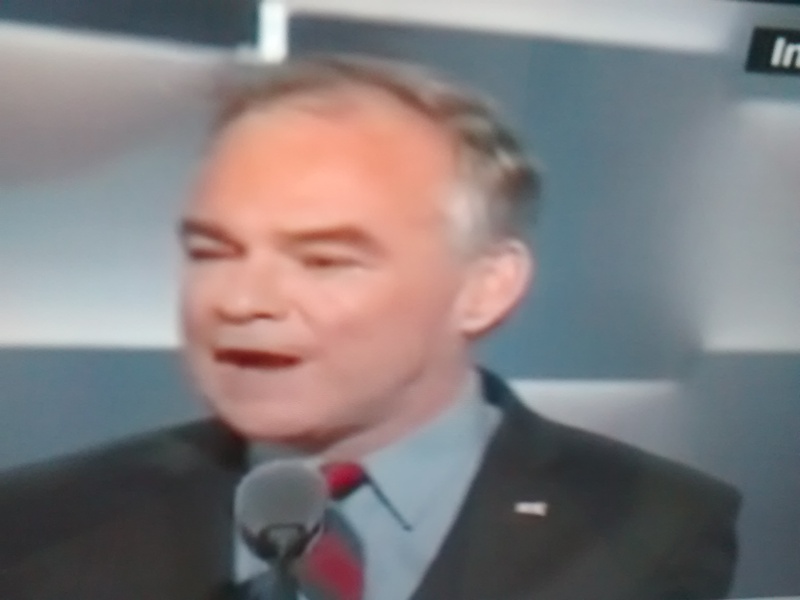 Tim Kaine made a big impact on the audience, for sure. 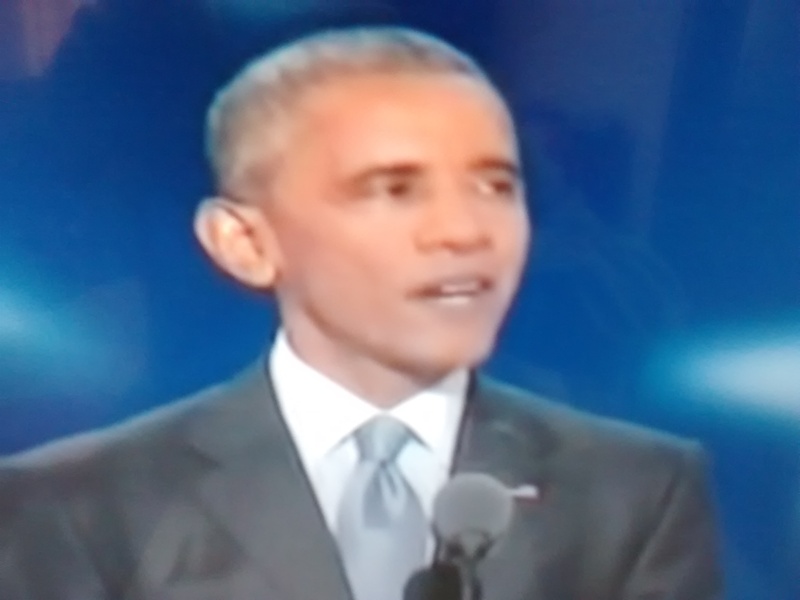 President Barack Obama in a robust speech with tenacity of will and effective modulation of tones invoked “faith” in Hillary Clinton with a blistering attack on Donald Trump. Two things he did extremely effectively : (i) Contrasting and comparing Democrats’ Vision with that of the Republicans’ stressing upon “Optimism” of the Democrats and the “Pessimism” of the Republicans; and (ii) apagogically establishing and proving the superiority of America as a great nation now with less serious problems than when he took office seven and a half years ago. He substantiated by citing the economic prosperity; decreased crime rate; low unemployment; better productivity of the auto industry; healthcare not becoming a privilege but a right ( with 20 million new registrants); doubling of production in clean energy; bringing about a climate agreement with 250 countries supporting; – even while admitting that more work still needs to be done. Optimism lies in not turning away from one another, or turning away from other countries’ needs and respect. He clearly demolished the myth propagated by his opponents implying that he had placed and guided the nation on the right track. He also strongly defended Hillary Clinton’s “judgement”; her efforts to break barriers; her ‘disipline’, her ‘ work ethic’ ; her ‘experience’; her ‘temperament’; affirming that there is never anyone to serve better as American President, not Bill, not me! He added that Tim Kaine will make Hillary better just like Joe Biden made me a better President. He urged the voters to reject fear and said that Hillary Clinton is ready to take the mantle and he is ready to pass the baton. In sum, this was a day that the Party can be proud of. My subjective rating of ” Unity” improves further at 85/15. Tidbit : ” America is already great, and strong” – President Barack Obama.